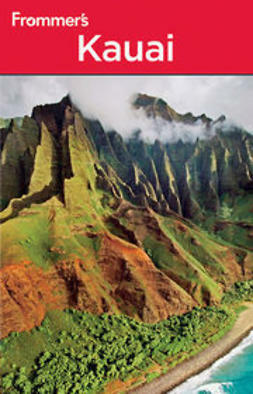 Meticulously researched by one of Hawaii's most noted journalists (and a long-time resident of the Big Island), this is hands-down the most reliable, up-to-date, and comprehensive guide to Kauai. Each of our candid hotel reviews is based on a detailed personal inspection. You'll find lavish beachfront resorts, intimate rain-forest B&Bs, family-friendly condos, and much, much more. Our dining reviews are simply the best in the business, whether you crave cutting-edge Asian-fusion cuisine or a hearty, affordable plate lunch. Our author makes sure that you'll truly experience the spirit of aloha, and she'll help you steer clear of anything that's overpriced, touristy, or inauthentic. With Frommer's in hand, you'll know where to find secluded beaches; secret spots for snorkeling; the best outfitters to choose for everything from diving to deep-sea fishing; and where to find the top galleries and shops. Inside you'll find extensive coverage of family-friendly accommodations and activities; tips on how to get married in the islands; recommendations for the best honeymoon resorts; and valuable advice on finding the best airfares and package deals. Whether you want to learn how to surf, hike through Waimea Canyon, play a challenging round of golf, snorkel with sea turtles, or simply kick back with a mai tai to watch the sunset, you can design the perfect trip with Frommer's Kauai.